No awkward debut pics for these girls! Julia definitely turned heads in her vibrant red Michael Cinco ball gown during her carnival-themed debut in 2015. 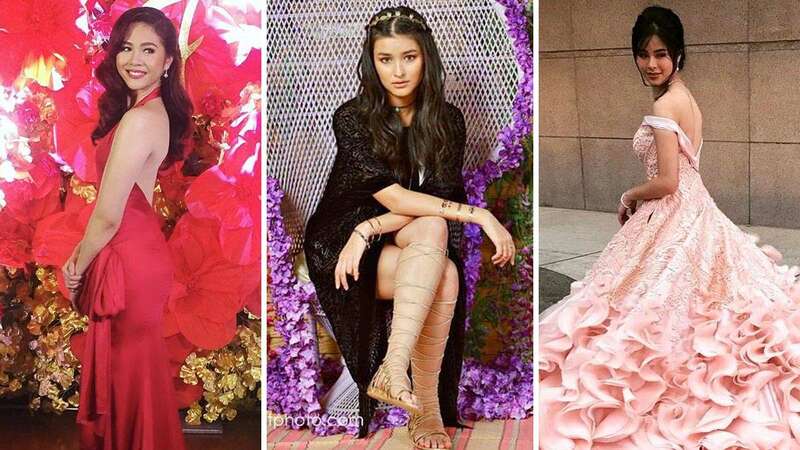 Liza was the ultimate boho princess wearing gladiator sandals, a fringed tunic, and a delicate flower crown when she celebrated her ~*chill*~ debut in Batangas in 2016. The Encantadia star totally looked dreamy in her Swarovski-studded silver Mark Bumgarner ball gown in 2016. In 2017, vlogger Hannah Pangilinan held a tropical luxe-themed 18th birthday bash wearing a sweetheart cropped top and tulle skirt. Dominique turned their Makati home into the Emerald City in her Wizard of Oz-themed debut in 2013. She had two outfits that night: A muted gold gown by Mich Dulce and a royal blue after-party dress. In 2014, Kathryn lived up to her Teen Queen status by wearing princess-like creations by Francis Libiran and Vania Romoff. The presidential granddaughter made headlines with her extravagant 18th birthday celebration. She had three outfit changes for the night: The first was a royal blue ball gown by Michael Cinco, the second was a white Orias pantsuit for a dance number, and the third was a white lace Joe San Antonio after-party dress. Janella was given a surprise debut in 2016. She looked every bit an Old Hollywood star in her gold Pepsi Herrera gown and red backless after-party dress by Steph Tan. In 2016, Sofia went for a fiery red tuxedo by Jot Losa. She then traded the tux for a black Sheiralyn dress for the after-party. In 2017, Claudia wore a crystal-embellished ball gown by Mark Bumgarner and a powder blue feathered after-party dress by Patty Ang. The PBB alumna wore two Francis Libiran creations for her 2017 debut: An intricate pale pink ball gown and a lilac after-party dress. YouTuber Janina Vela wore a delicate tulle dress and a flower crown to her rustic-themed debut in 2017.